The Adventures of Huckleberry Finn follows Tom Sawyer’s best friend on his wildly entertaining exploits with runaway slave, Jim, recounted in vernacular English and vibrant descriptions of life along the Mississippi River. 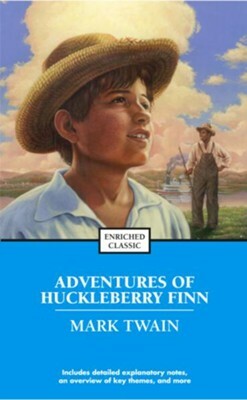 Set in a Southern antebellum society, which had ceased to exist at the time of its publication, The Adventures of Huckleberry Finn is often regarded as a scathing satire on the institution of racism and the attitudes that supported it. However, it is also a playful story about the joys and evils of childhood as well as the limitless possibilities it allows.